A great place to indulge in seafood and the southern culture popularized by the movie of the same name, Bubba Gump Shrimp is right across from Aria in the Miracle Mile Shops. With an extensive cocktail menu and a large variety of seafood dishes, this chain restaurant is anything but standard. The service is friendly, the food is generous and the atmosphere is fun! What more can you ask from a convenient restaurant right on the Strip? 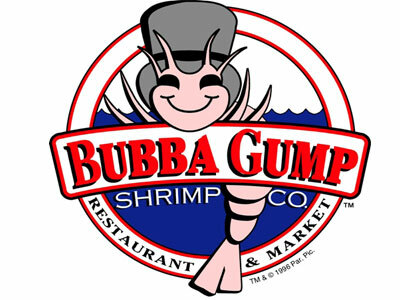 Start with a bowl of Mama Blue’s Shrimp Gumbo or go for one of the ten shrimp entrees on the menu. If seafood is not your thing, chicken, steak and ribs are also offered. This restaurant is creatively decorated with Forest Gump movie decor. The hostess and wait staff are very friendly, but the food is moderate quality. Go for the fun atmosphere. The staff was super friendly and made us feel right at home. They were singing and dancing to the music and we joined in! Great food! Great atmosphere! I’ll be back in December! On the street we were told it would be 15-20 minutes. They finally called us and then we had to wait at the bottoms of the stairs another 15 minutes. We finally got called up the stairs and had to wait another 5-10 minutes for a table. Don't be fooled by the wait time. We were told on the sidewalk that it would be 15-20 minutes. We then had to wait at the bottom if the stairs another 15 minutes. Once we got up to the dining room we had to wait another 10 minutes. We’ve been to Vegas 3 times and we finally found a GOOD place to eat!!! !